We reuse old boxes for shipping ! Some of our online orders are shiped in reused cartons, which we ourselves received with deliveries of goods. These well-preserved, used cartons would otherwise just be thrown away. And only because of a few scratches, stripped labels and old lettering? We think that it's more sensible and ecological to recycle and to reuse these boxes. 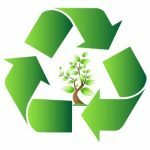 So an "old box" can fulfill another task and deliver of your online order and no new tree had to be cut down to make a new box with high energy and water consumption. We assume that you will like this as well? 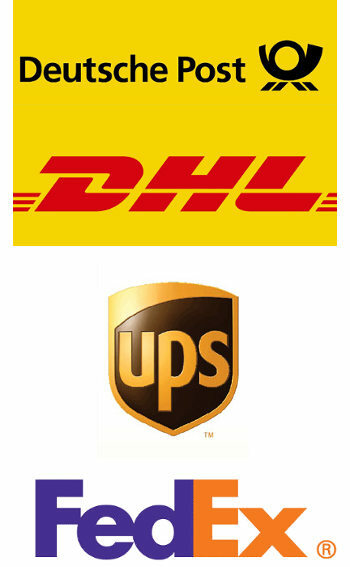 Shipping, within Germany and the EU, usually takes place via DHL / German Postoffice. For commercial addresses* within Germany, we reserve the right to send an alternative via UPS as well. In the case of a commercial address* in the EU, outside of Germany, shipping is usually via FedEx. * a "commercial address" would be at a registered company or office with the usual local business hours. All deliveries within Germany are free of shipping costs. For orders under 40,- Euros, we will charge a small quantity surcharge of 5.90 Euros. For COD shipments We charge a cash on delivery fee of 7,50 Euros within Germany. cost 15,00 Euro In addition to the international shipping charges. If your country is not listed in the selection list, please contact us before ordering!